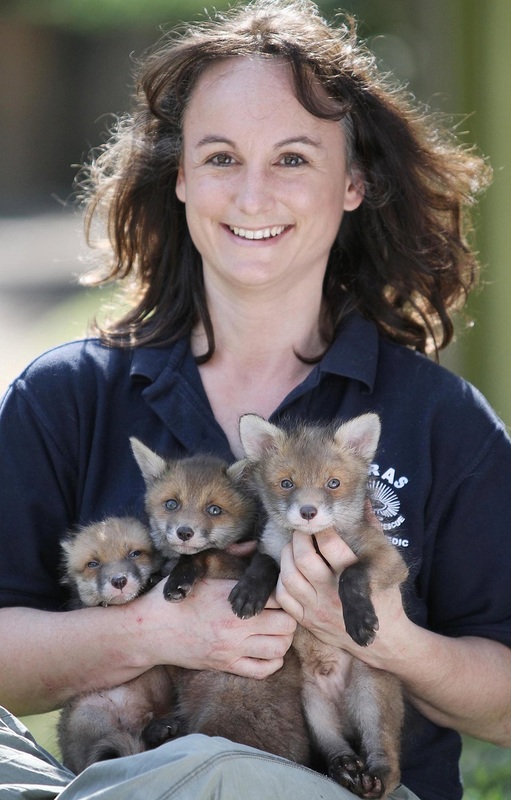 East Sussex Wildlife Rescue & Ambulance Service (WRAS) is celebrating the success of its Casualty Centre which has completed its 5th year in operation this winter. Celebrating the completion of the Charities 10th year as a registered charity. 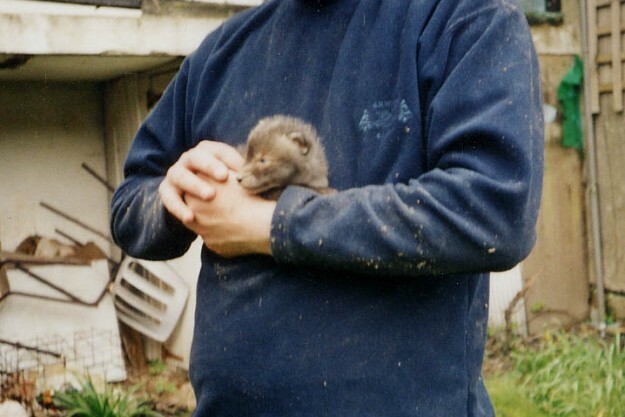 Celebrating its 20th years as a voluntary group as well as celebrating founder Trevor Weeks’ completion of his 30th year undertaking wildlife rescue and conservation work in East Sussex and beyond. 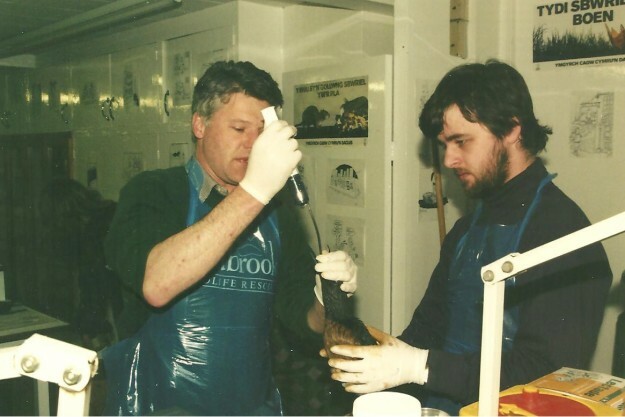 Founder Trevor Weeks MBE of Uckfield, who was raised in Hailsham and born in Eastbourne, started undertaking wildlife rescue and conservation work back in 1985 when he was just 13 in and around the Hailsham and Eastbourne area. 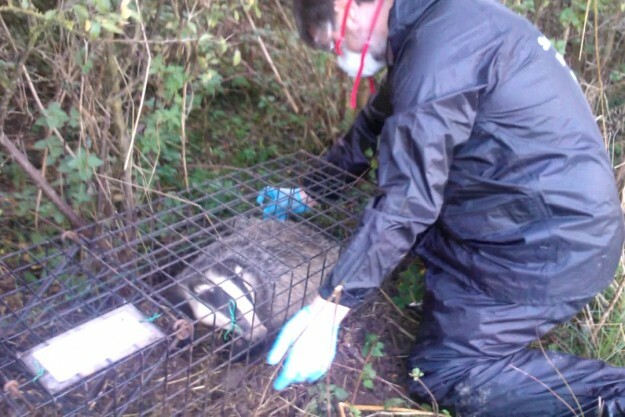 The first ten years Trevor spent most of his time helping a variety of organisations like the Conservation Volunteers, local Badger Group, Amphibian and Reptile Group, and various individuals who ran small bird and wildlife hospitals from their homes. 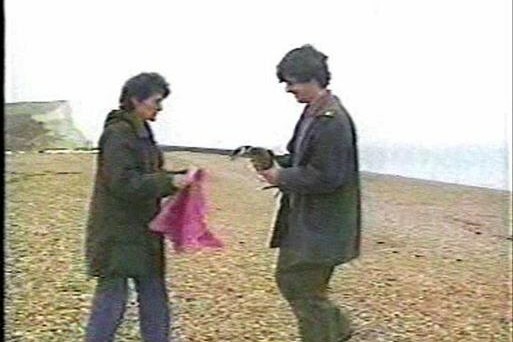 Trevor started volunteering with Meta Mann who ran a bird hospital from her home in Seaford and collecting oiled covered seabird like Guillemots and Razorbills and delivering them to her as well as helping to wash and clean them. 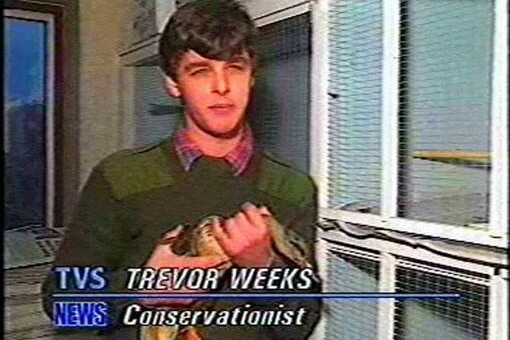 Once Trevor could drive and had his own car he started doing more rescue work and helped the Fox Project and Swan Sanctuary. 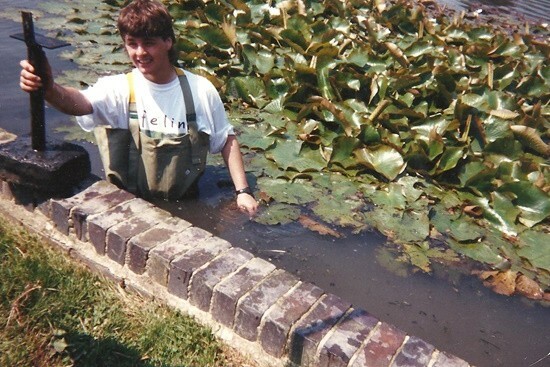 In 1993 Trevor lost his mum to cancer which had a big impact on his life which he struggled to deal with, but his voluntary work really help pull him through. 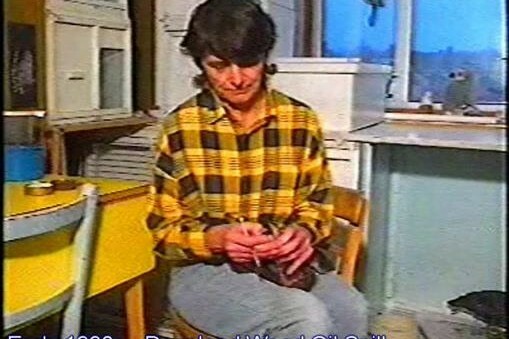 “It was my mum which got me interested in animals and nature, we always had one animal or another at home, which she always said were the responsibility of my brother and I to look after and of course she would always be the one who ended up looking after them. They included chicken, terrapins, rabbits, guinea pigs, fish, cats and dogs.” Said Trevor. 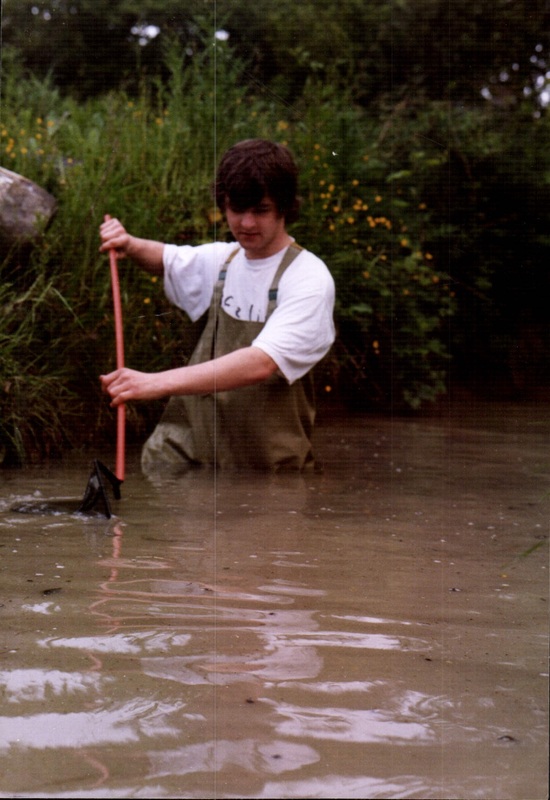 1996 saw Trevor attend the Sea Empress Oil Spill in Millford Haven in Wales. 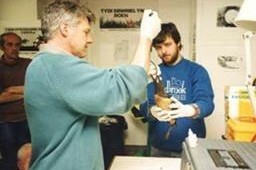 East Sussex Wildlife Rescue was formed later that year after Trevor ran up a vets bill of over £1000 and was struggling to pay off the fees. Vet Robin Hooper from Downwood Vets in Horam, gave Trevor a challenge to set up his work as a voluntary group and get a committee and fundraising going, and in return Robin offered to cut Trevor’s bill in half. Trevor rose to the challenge and within 6 months East Sussex Wildlife Rescue was born. “I owe Meta and Robin a lot as I don’t think I would be where I am today if it had not been for their influence and support for me and for seeing my potential. I learnt so much from them.” Said Trevor. 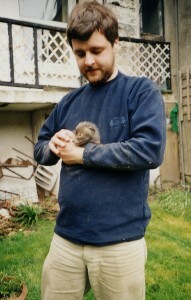 Trevor trained in computer programming and worked work various companies but undertaking his wildlife rescue work as his hours were flexible. The only time Trevor has not been able to undertake his rescue work was for about six months at the end of 1999, when he took on a programming job working in London. 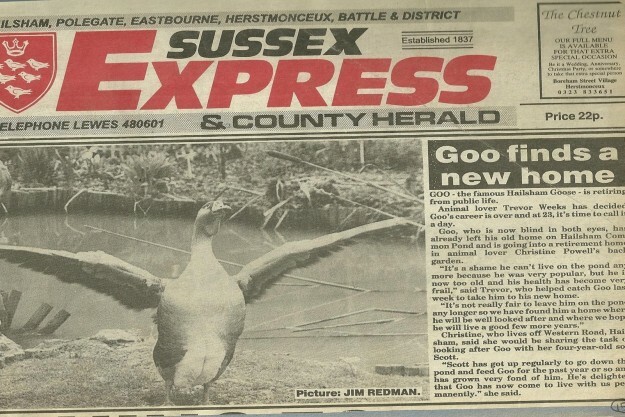 Eventually Trevor gave up this lucrative job earning over £32,000 a year in 2000 to come back to Sussex. 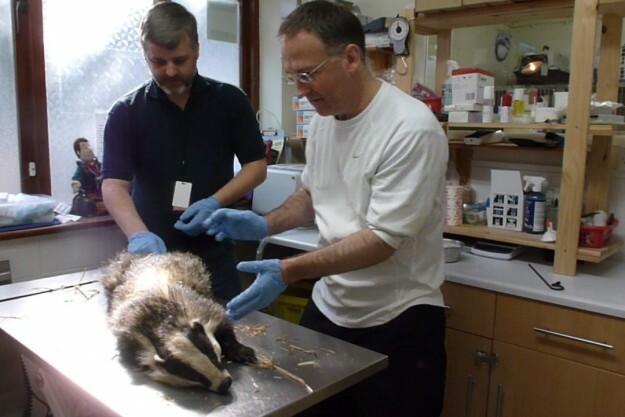 Working just part Trevor then put a lot of his time into undertaking wildlife rescue work and trying to develop the organisation into a charity. 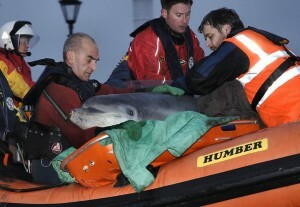 Celebrating WRAS being registered as a Charitable Company in 2005, Trevor (right) rescuing a Dolphin in Cumbria in 2006. Over the years Trevor has also worked for International Animal Rescue in Uckfield and then moved over to their sister charity British Divers Marine Life Rescue where he became their National Co-ordinator helping to support volunteers around the country undertake whale, dolphin and seal rescues. Including helping going to Cumbria for a two week operation to save a dolphin trapped in a harbour and helping to training people in Canada in how to rescue marine life. 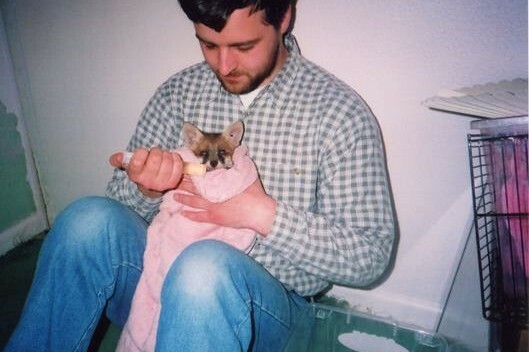 At one point Trevor had to reduce his rescue work for a couple of years after being warned by his doctor he was close to having a heart attack if he didn’t start taking it easy. Trevor has even ploughed all of his £10,000 savings into the charity to save it when it came close to closing back 2007. 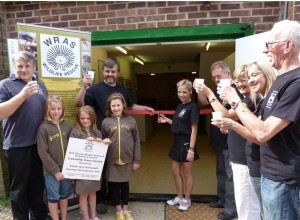 Celebrating WRAS completing its 5th Year at its Casualty Care Centre which openned in October 2010. In 2005 WRAS was formed as a registered charitable company. 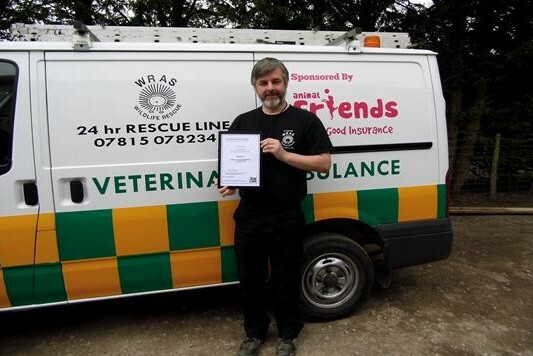 More recently Trevor moved to work part time for WRAS on minimum wage thanks to sponsorship from International Animal Rescue and late 2010 WRAS opened the doors to its current Casualty Care Centre at Whitesmith on the A22 between Hailsham, Uckfield and Lewes. The centre is now capable of holding up to 200 casualties at a time. In addition to this the charity has four veterinary ambulances and over 80 volunteers who work hard to keep the charity going. 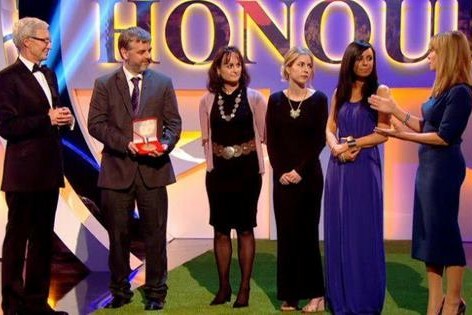 The charity has grown to become an award winning charity and in 2010 the charity received an IFAW Animal Action Award at the House of Lords, in 2012 Trevor was named in the Queen’s Birthday Honours List receiving the MBE for services to animal welfare, later that year he received the BBC Sussex & Surrey Community Heroes Award for Animal Welfare, and in 2013 the charity won the Local Animal Charity of the Year in the ITV1 British Animal Honours. 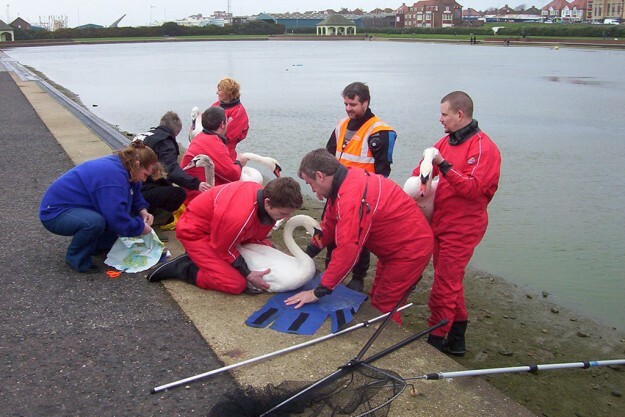 Trevor’s work has also been recognised by both the Eastbourne Herald and Gazette in 2005 when he won a Volunteer Award and in 2010 received an award from local radio station Sovereign FM. “We are launching Trevor’s 30th Year Appeal to raise vital funds to help WRAS save our local wildlife. WRAS’s workload has always been much higher than it can cope with but we want to change that and help even more casualties than ever before! 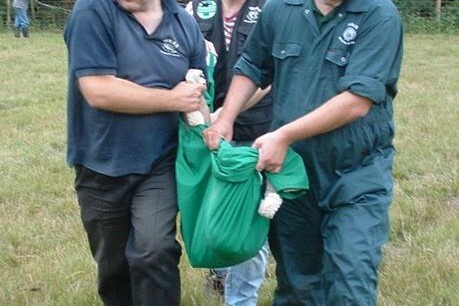 Millions of wildlife casualties are euthanized at vets up and down the country due to the lack of facilities for these casualties to go to, but in East Sussex they have WRAS and we are saving thousands of wildlife casualties as a result of the public support we receive. I find WRAS really fulfilling and get a great sense of pride from working with everyone at WRAS, they are a great team and so caring” said Chris Riddington one of WRAS’s Duty Managers. “I joined WRAS for work experience in 2012 for a year whilst studying at the University of Kent, and was lucky enough to then get a grant so I could work part time and then full time for WRAS. WRAS has always had a strong sense of community responsibility and tried to be very supportive towards back to work scheme, providing work placements for students from local schools and colleges as well as going out into the community to give talks, displays and more. 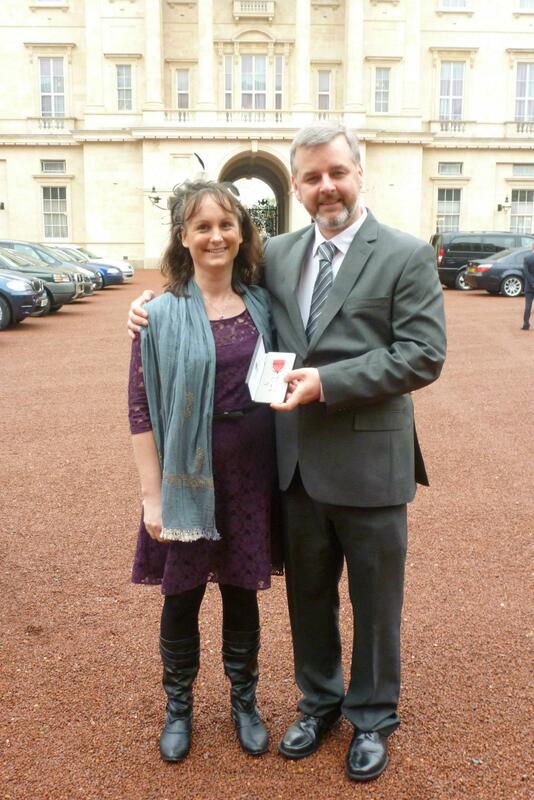 WRAS is a great charity and one I am proud to be part of” said Lindsay Redfern BSc (Hons) who is now one of WRAS’s Casualty Centre Managers. 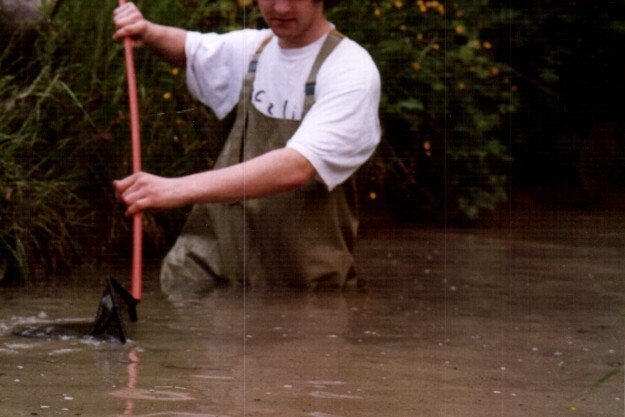 “I remember meeting Trevor for the first time in 2008 and the first call I went out on with Trevor was a deer caught in rope with a damaged leg, the finders had cut it free, and as we approached the deer got up and ran into a wooded area and onto a path. I ran one end of the path and Trevor ran to the opposite end to block the deer in. The deer looked both ways and to my horror the deer clearly thought I was it best chance of escape and bolted straight towards me! I had no choice but to tackle the deer and bring it down and I was surprised that I managed it. Trevor was quickly with me and then able to help. I got quite a few bruises but the deer was rescued. I think I surprised Trevor and within 6 months Trevor and I were in a relationship and I’ve regretted it ever since! Trevor has a habit of us doing weird and wonderful rescues around my birthday and I’ve had to rush down to the casualty centre with him a few time to clean out maggot infested wounds and various animals in smelly conditions. 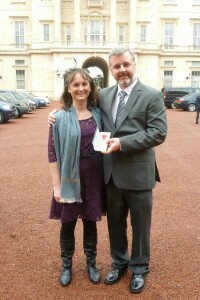 I love it really!” laughed Kathy Martyn WRAS Trustee and now Trevor’s partner. WRAS now receives about 3000 calls a year which is growing steadily, but is unable to deal with the workload, but is ever expanding its facilities to take in a help thousands of casualties every year. During peak time WRAS can receive over 100 calls a day. The average length of time it takes to deal with a call-out is 2.5 hours. 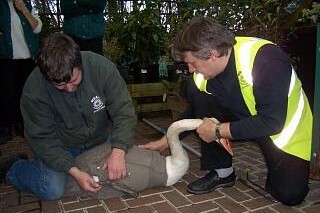 This can be much lower at 15 – 20 minutes with simply cases close to the centre but rescues can turn into days, with Trevor’s longest rescue being almost 3 weeks based at Monkton Marshes in Kent in January 2003 when he slept in his ambulance in a field to help a flock of swans which every day kept hitting overhead power cables. 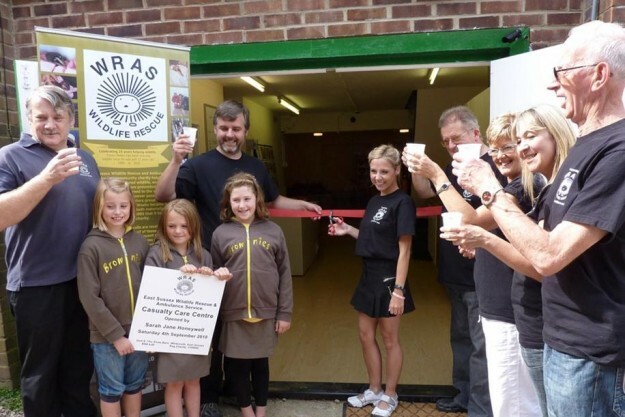 WRAS is asking people to either make a donation of £30 as it’s Trevor 30th year, or £20 as WRAS has been a voluntary group for 20 years or £10 as we have been a registered charity for 10 years or whatever amount they can afford to help support the expansion of the charity and to help increase the charities ability to increase the number of animals they can cope with. There will be a few celebration activities and events this year. Which starts with the launch of Trevor’s 30th Year Appeal to help support and increase the number of casualties WRAS can afford to take in and care for. Over the phone: Call 01825-873003 between 10am and 6pm. Trevor's 30th Year Appeal,, East Sussex WRAS, PO Box 2148, Seaford, East Sussex, BN25 9DE. Thank you so much in advance for your continued support and helping us make such a difference to our precious local wildlife. I was more than happy to donate £50 .This was instead of buying Christmas cards for all my many work pals this year. Thank you for all your hard work and dedication to Animals .